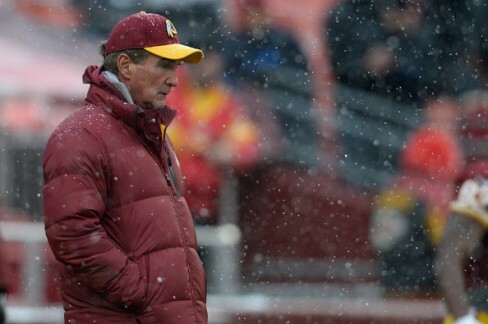 The Redskins were dreaming of another run for the postseason and ended up with a year of disappointment. So much can be assessed to the coaching staff, the salary cap, the recovery of RGIII, and a host of missed opportunities, but the reality is the team was not prepared to take on the talent of the rest of the NFL this year. The Chiefs were on a high when they blasted Washington at home. The Broncos were a team of great offense that was able to find a way to overcome their first half slump. The NFC East was disappointing but all of the team were playing more consistently, especially in the second half of the season. Now the team is left to pick up the pieces and redefine who they want to be. One of the greatest criticisms of the team has to be the ownership. Daniel Snyder is overly involved in the day-to-day operations and makes too many of the decisions without the best understanding of how to successfully develop and coach a team. Plus, HE IS NOT A COACH! 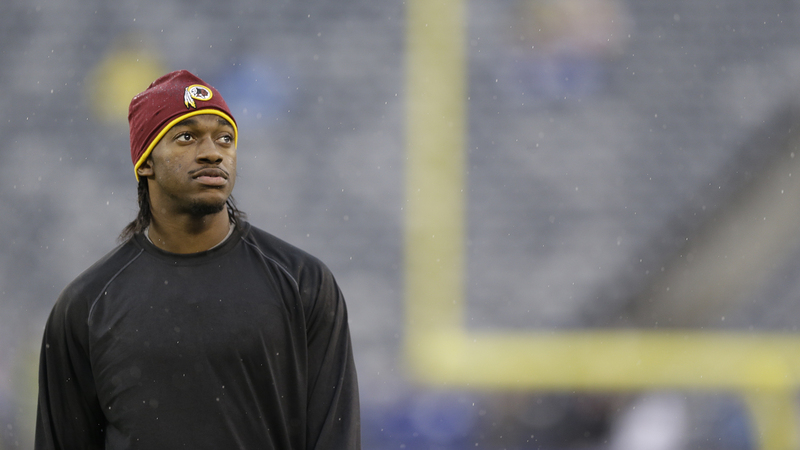 The relationship with RGIII is inappropriate, especially when it undermines the coach and neglects the players who were playing at a higher level. Until he steps back from the operations, the team will probably struggle to get the right coach and truly make a Super Bowl run. The next target has to be the coaching. Shanahan could have potentially been a better coach, but he faced a mountain of problems, starting with Snyder. His biggest wall otherwise was the salary cap. The huge hit brought on by Haynesworth-less and other acquisitions during the uncapped year limited his ability to grab free agents and hold onto the special teams players needed to keep the unit from being last in the league. $36 million dollars is a huge hit. The reality is that he struggled to work with his son, was a bit conservative when he needed to be more aggressive but also failed to manage RGIII and other players when he needed to assert himself. His firing was not a surprise (and neither were all the coaches to follow him out), but now there will be a challenge of finding the right coach to step in. There are no superstar coaches willing to step into the organization, but this may be the right time to find a bit of an unknown (or lesser known) to avoid the glamour of a star hire. The offense had its moments, but the best performances of the year had to be from Garcon, Reed, and Morris. Garcon took home the reception record and looks to continue to prove his worth after leaving Indianapolis. Jordan Reed is one of the great surprise pickups from the draft, at least until he got injured. He is proving to be the lead TE for the future, so it is unclear what will happen with Davis. Morris is a hard runner, even with the struggling offensive line. He will continue to succeed once the line issues are resolved (hopefully in the offseason). The problems have been the line, but also the receivers. When Reed went down, Garcon was the only consistent legitimate threat on the field. There will have to be more work to fix these problems. And then there is RGIII…I like Griffin but I am starting to really get frustrated by him (though it could also be the media’s coverage of him). When he struggled in his rookie season with the 3-6 starting record, he showed more ownership of the struggles and more poise in the face of the media. The team succeeded, he was injured, he came back to play in Week 1 of this year, and then he devolved in his face time with the press. He started to show public frustration with parts of the team, the coaching staff, and outside influences. He took ownership of the team’s struggles less. He failed to recognize his involvement in the challenges. The offseason could be huge for Griffin, as he needs to refocus on the game, take himself out of the press, reconnect with the team, and get back to what made him a great college and NFL rookie player (with the wisdom of a veteran). The defense was a mess and they will now be without London Fletcher next season. Orakpo, Kerrigan, and Hall continue to be the standouts of the unit, but the team was giving up one of the greatest numbers of points in the team’s history. They struggled to contain the run as well as they usually do and definitely gave up a lot of yards and points to receivers. The only thing worse was the special team, which I will not even get into. New coaches, free agents moves, another draft to find future talent. Change is coming for this team. After barely getting in with the win over the Cowboys in Week 17, the Eagles struggled to hold off the Saints at home. Brees and the Saints finally were able to shed their poor playoff performances on the road with a win in Philadelphia. Kansas City blasted out for a 28-point lead in their game over the Colts, even with Jamaal Charles getting sidelined with a concussion. Then the Colts woke up. 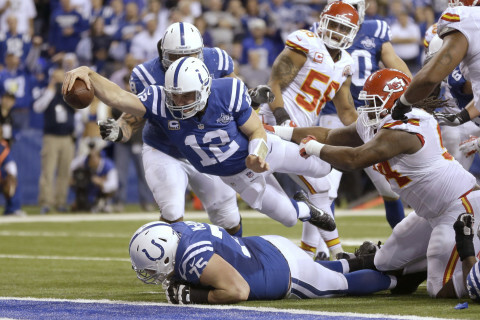 Luck got the offense going and the Chiefs slowed down significantly. The Colts pulled off the 2nd greatest postseason comeback in NFL history. The 49ers had a tough road to battle with going into Green Bay with some of the coldest temperatures experienced during an NFL game (besides the Ice Bowl). They seemed up to the task and were able to stave off the Packers behind the rushing and passing of Kaepernick. The Chargers barely made the playoffs and needed a lot of help to get there. This was not a problem for them as they were able to handle the Bengals fairly well, knocking Dalton off his game yet again.